A source in the community who craved anonymity, said the gunmen who came on a motorcycle, escaped through the Oluku end of the Benin-Lagos road unchallenged. Residents were said to have scampered to safety when they heard gunshots fired by the assassins. In a related incident, a 23-year-old National Diploma Accounting student of Auchi Polytechnic, Emmanuel Aronokhale, has been reportedly shot dead by unknown gunmen. 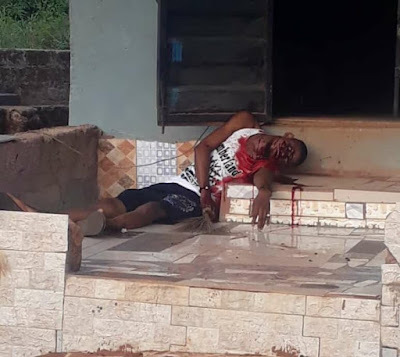 The deceased, who hailed from Okpilla in Estako East Local Government Area of the State, was reportedly killed at about 8.00pm on Tuesday at his residence at Second Bawak, Sabo, Auchi.